Aaron loved baths. and today was no exception. 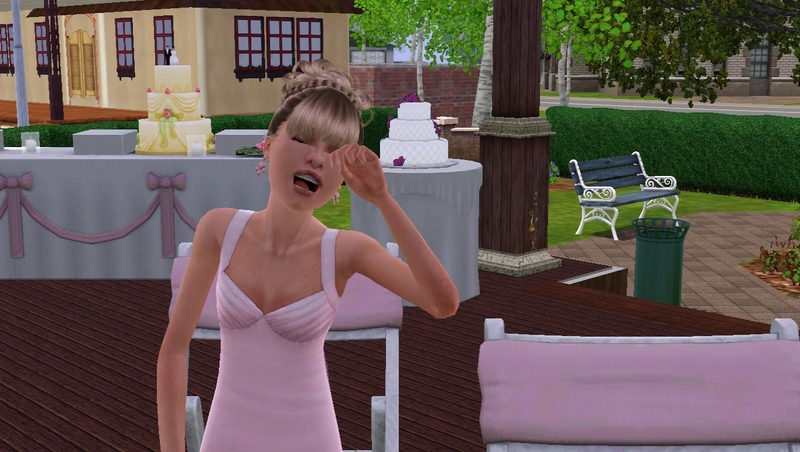 He didnt even mind when Elizabeth dressed him in a suit and pink tie. 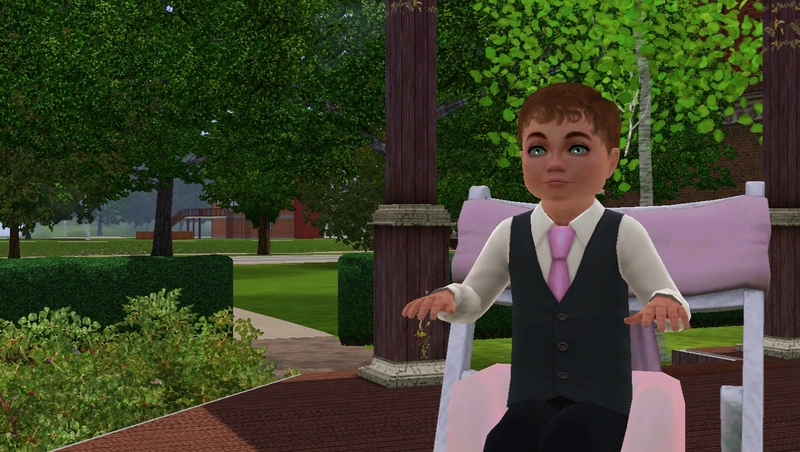 At the wedding, Aaron sat like a big boy in his booster seat, and didnt cry or whinge during the ceremony, he sat quietly while the vows were exchanged, Suzie was crying. They exchanged rings and kissed. Heart shaped confetti was flung and the cake was cut. 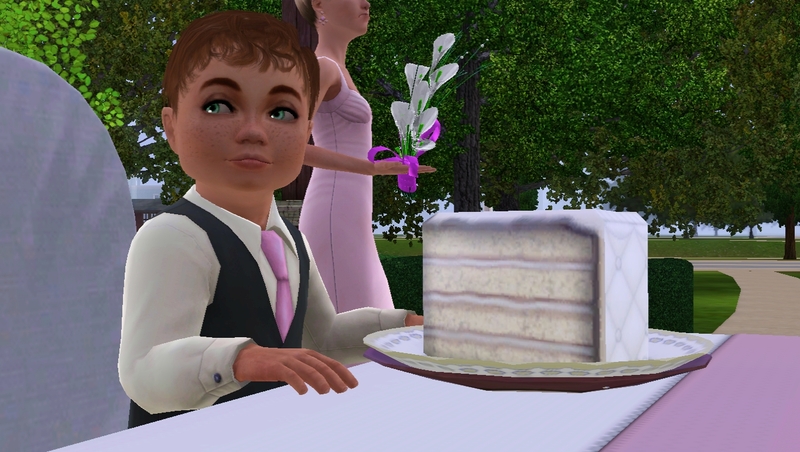 Aaron had a good time, and was happy he got his own slice of cake. I love Suzie’s dress! Aaron is so cute in his booster seat. 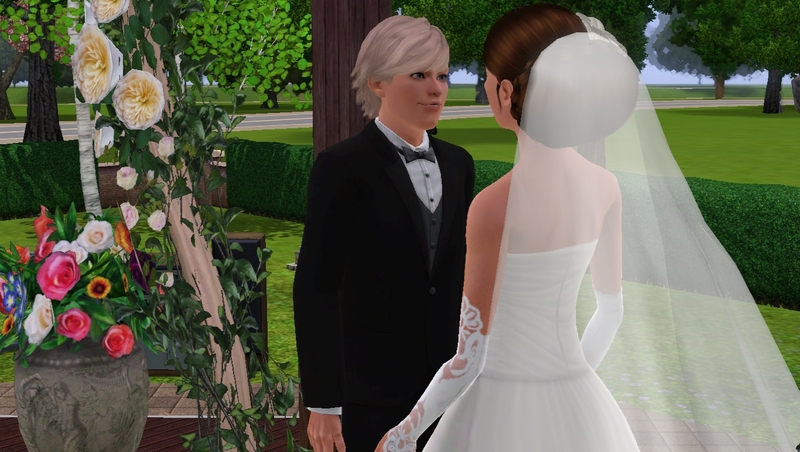 I’m happy that David and Elizabeth are married. I wanted Elizabeth to have her Prince Charming!